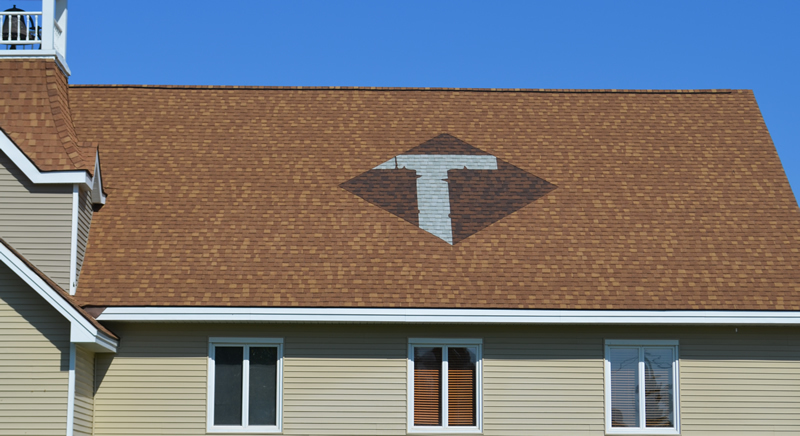 Absolute Building Solutions designs a shingle mural of The Tabernacle's logo. Absolute Building Solutions specializes in residential roof replacements and repairs. We are a local Traverse City Area roofing company focused on serving our community. 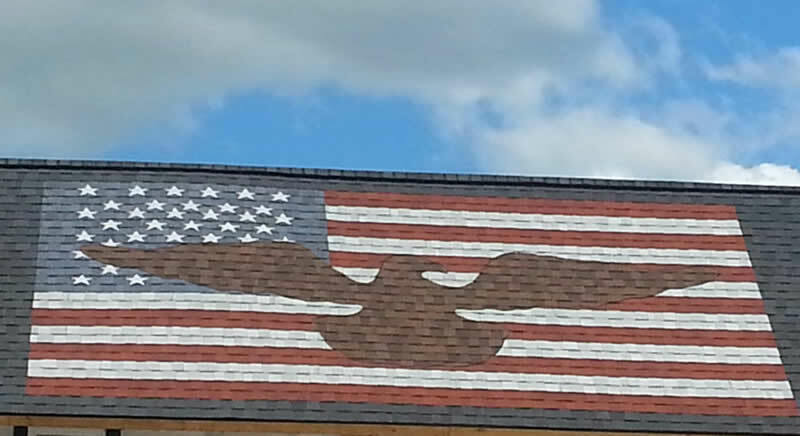 A unique service Absolute Building Solutions provides is your designed mural on your shingle roof. Absolute Building Solutions: An Honest, Trustworthy, and Dependable Roofing Company. When it comes to a reliable roofing company, look no further than Absolute Building Solutions. 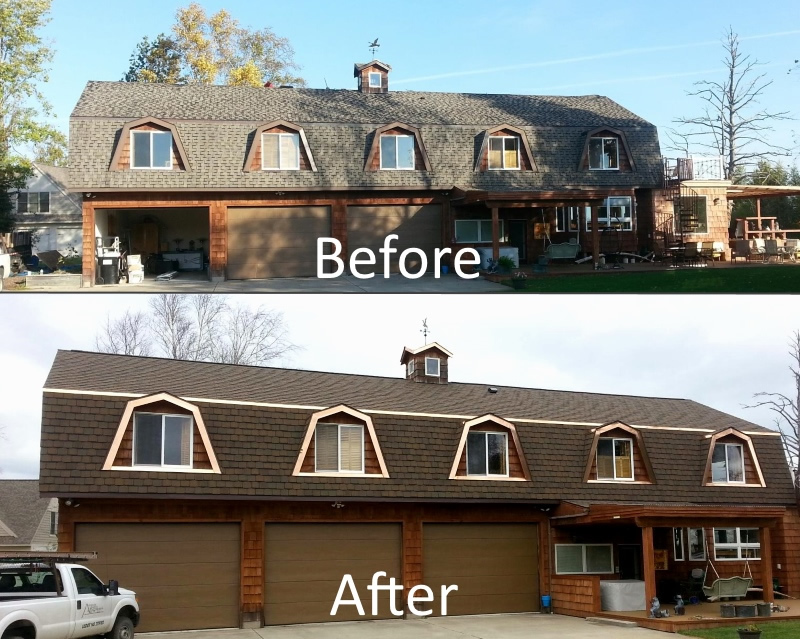 We provide affordable and quality roofing, throughout the northern Michigan area. We have a reputation for outstanding workmanship at affordable prices, and we are happy to give free estimates throughout Traverse City and the surrounding areas. Whether you're looking to replace an existing roof or you need to repair roof leaks, fix broken shingles or replace sagging gutters, our team of experienced professionals will help you with your Grand Traverse roofing project. Backed by a leading manufacturer of North America's building materials, we are proud to offer quality Malarkey and CertainTeed products and warranties. Call us at 231-263-8300 or fill out our online contact form to discuss your roofing or home improvement needs. 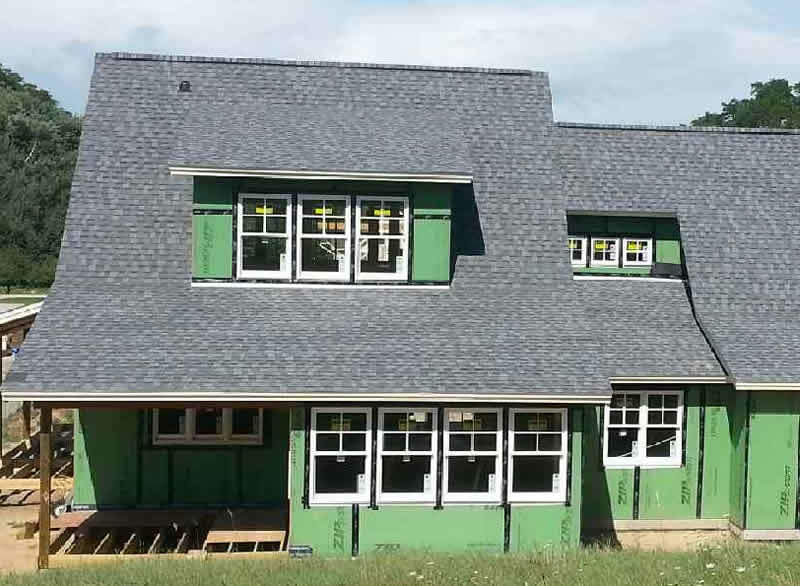 Located in Kingsley Michigan, Absolute Building Solutions is committed to being the most honest and dependable roofer; we provide quality products at affordable rates. 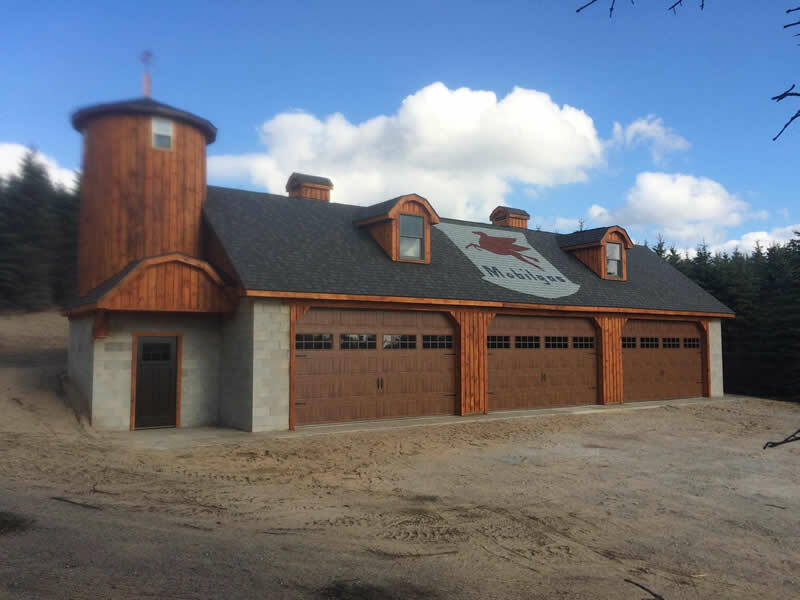 We are proud of our Malarkey and CertainTeed SELECT ShingleMaster certifications, and maintain a membership in the Builder's Exchange of Traverse City. We're here for all your roofing needs. Copper Fascia New copper fascai around the windows and cupda.